Throughout the 70’s and 80’s, radio sessions played a big part in any bands success in the UK. For AFTER THE FIRE, this was no different: the opportunity to play live in an intimate and professional setting gave the band and fans the best of both live performances and LP sound. 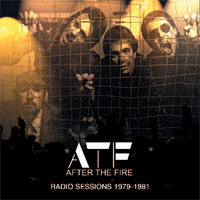 ATF are a rock/pop band whose roots are in the prog rock of the early 70’’s The 20 tracks featured on this CD were recorded at three different radio sessions between 1979 and 1981, a time when ATF were at their commercial peak. A career spanning over 30 years...a useful album which is very poppy and original in nature. Well worth a listen.